Your greatest adventures deserve your greatest camera lens, but you can’t be expected to take your fancy DSLR with you when you’re climbing a steep mountain or navigating a rushing fjord. After all, a bulky camera will only weigh you down and hold you up — and it’s not as though you’ll have your hands free for long enough to take photos anyway when you’re truly engaged in exciting outdoor activities. Caply does exactly that job. 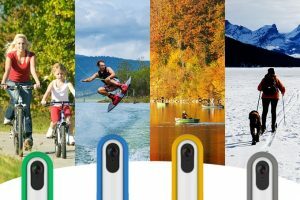 But just because you can’t take your camera on your trip doesn’t mean you won’t have a way to capture photos — meet Caply, heralded as the world’s most durable action camera. Caply is a super-compact action camera that features up to 5 hours of 1080p video recording or 24 hours of time-lapse recording on a single charge. 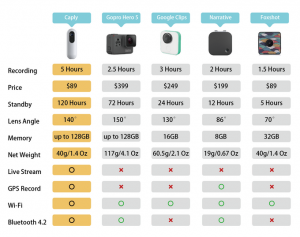 Starting at just $69 shipped on Kickstarter, this action camera is actually quite budget-friendly for the feature set. 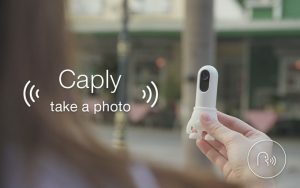 Designed to be clipped to your shirt, backpack, or other items, Caply is built to capture those moments you would miss otherwise. 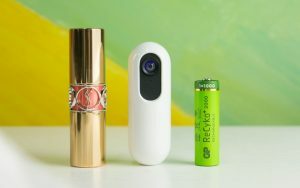 With voice commands like “Caply, take a picture” and touch gestures, this tiny action camera is simple and easy to use. Caply can be used in all kinds of situations. From mounting climbing to a skateboard or bike, to living life on the windshield of your car, Caply is designed to go everywhere with you. 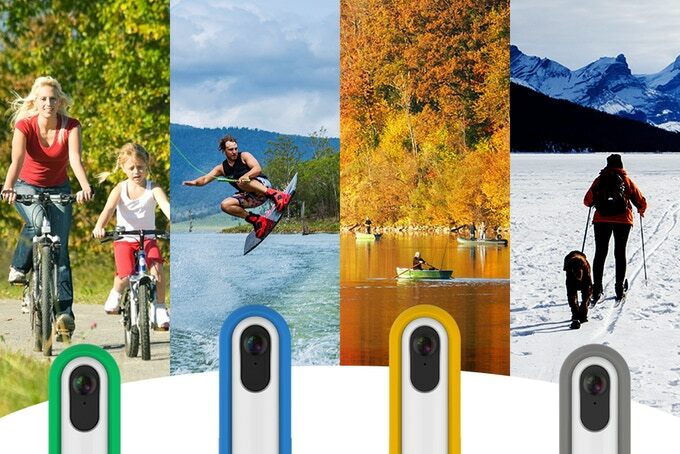 Caply is designed to go the distance and accompany you on all of life’s adventures. A second-generation low energy consuming solution and custom battery design that lasts up to 5 hours straight non-stop record, 24 hours time-lapse record and standby more than 120 hours. With a strengthening memory storage that ultimately supports 128 GB maximally. 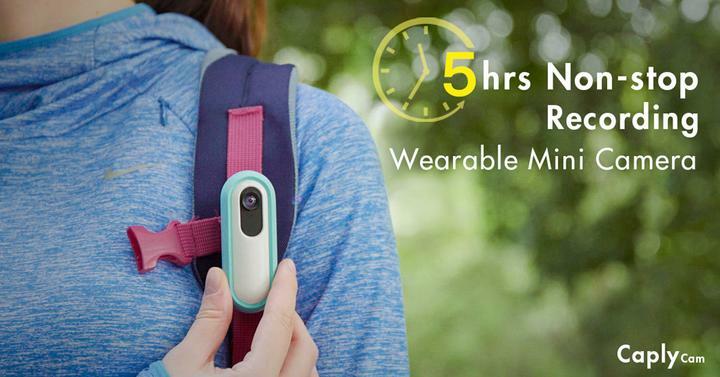 A long-lasting wearable camera and exceptional large memory storage allow for numerous excitement reservations and keep up with your active lifestyles. Caply’s Assistive Touch and Voice Control allow the minimum effort taken to get your record started. Abandon the old school button pressing style, Caply maximally enhance the user experience and extend the life of button. Simply swipe or tap to start capturing. The fast reacting Caply won’t let you slip any treasury moments away. The regular cameras are just not that great in the look and usually can not integrate into the surroundings. 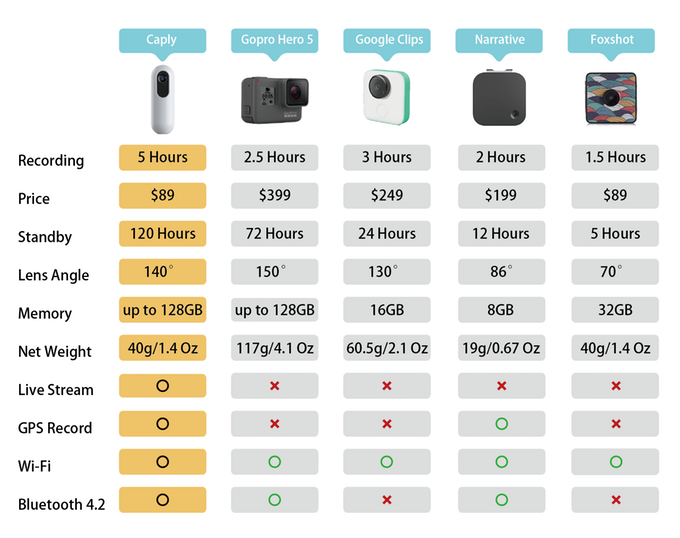 For most of us, in most of the time, we do not really need an expensive camcorder for live-streaming. 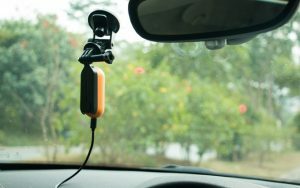 These type of live cameras could be easily replaced off by the phone, especially in today’s environment, a truly portable and affordable solution with a low threshold of getting in would be just more than awesome. 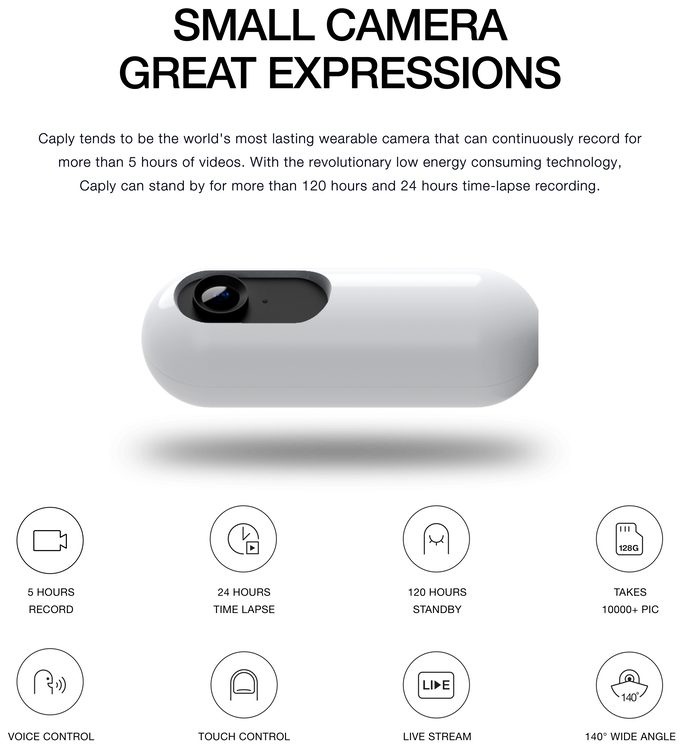 The Caply action camera is currently on Kickstarter, and while the campaign has reached and crossed its funding goal by almost 4 times, there are still plenty of Kickstarter rewards remaining for you to claim. The company has set a June 2018 delivery deadline, and is offering free international shipping on all orders, so go ahead and get your hands on one of these before they run out.